Each holiday that passes, the press for finding a great gift for my brother the bachelor gets ever more difficult. His house is full of odd, barely useful items that one day a wonderful woman will throw out. So it is my mission to buy gifts that are not only unique (his taste is eclectic and dare I say, eccentric) but also useful. His favorites of those I have gotten him over the years include multi-taskers such as those listed below. Hopefully, the hard to shop for man in your life will love these as much as the bachelor in my life has. Personalized Multi-Tool: Tool kits are bulky and have too many pieces a guy on the go could use. Pocket knives that include a few extras are useful and travel sized, ideal for a man with a plan and limited space to accomplish it. Engrave it and now if he looses it (or a friend borrows it), he can retrieve it. Cooler Chair: The collapsible coolers fold out to a padded seat. This combo is the perfect partner for taking to the game, a buddy’s cookout or camping in the woods. Never has sitting on your cooler been so comfortable. Bluetooth Tracking Tag: He’ll never loose his keys again with a key chain that sinks to his phone! Blue tooth technology allows him to call his keys then follow the sound to them. It even works the other way- if he can’t find his phone,all he has to do is press the locator button on the key fab and in moments his phone will be in hand! Power Cord: Keep electronics juiced on the go- Just a tad thicker than a credit card, the sleek design is unexpectedly powerful for a rechargeable power card. Offering a folding USB, this pocket-sized titan works with mobile phones, mp3 players, digital cameras, and more. With up to 1300 mAh of battery power, or 60% of an iPhone charge, this useful device will be the most important card in your wallet. Quality Toaster Oven: Ok, not just any toaster oven, the Kenmore Elite® Toaster Oven, perfect for baking, broiling, toasting and warming. The large interior and adjustable racks to fit 6 slices of toast or a 12” pizza. A convection feature circulates the heated air for more even results, the non-stick inner surface makes cleaning a breeze, and the sleek stainless steel housings, chrome accents, and LED displays make it as attractive as it is functional. And if that were not enough, it comes with aluminum bake pan, broil insert, crumb tray and 12” pizza stone… all for just $159.99! 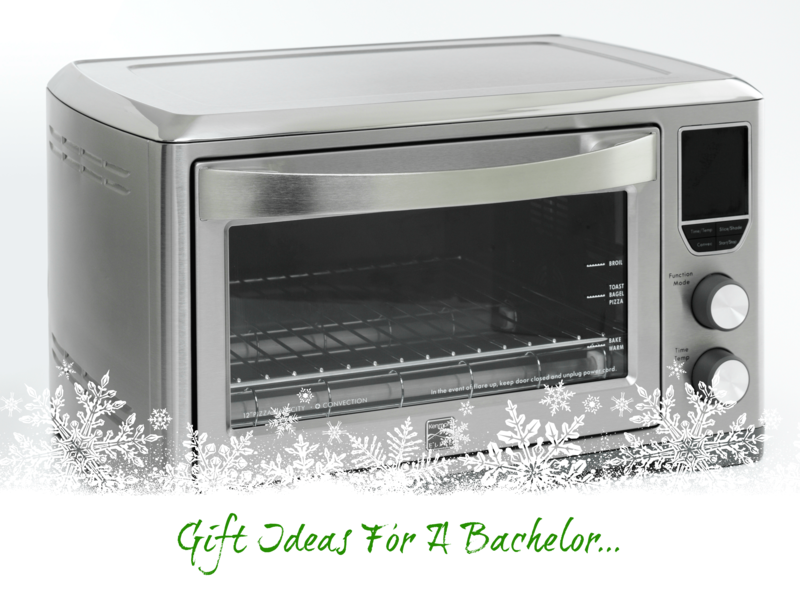 The Kenmore brand is also gifting holiday magic this season on Kenmore’s free recipe sharing website, Cookmore.com. Members can explore and/or upload their own recipes, you can even create custom printable cookbooks for loved ones – a perfect gift idea and perfect accompaniment to the Kenmore Elite® Toaster Oven!